Our reigning small car champ is back to defend its crown against its newer cousin. 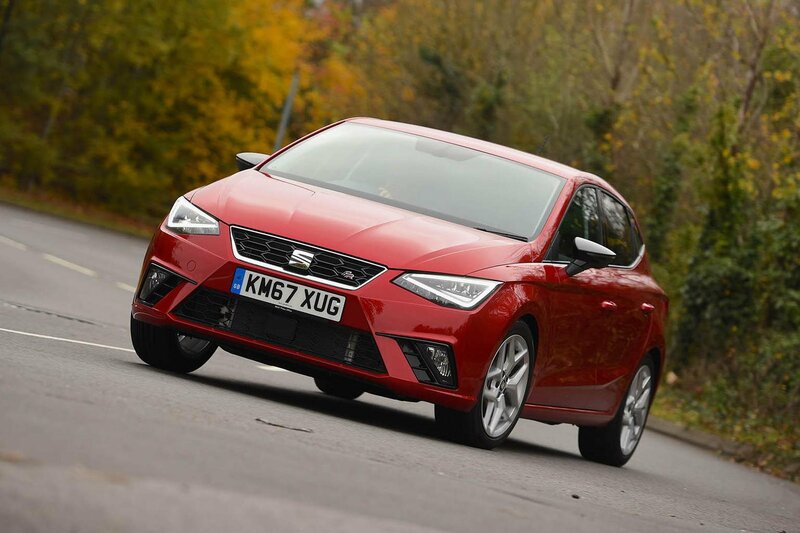 Shares its engine and underpinnings with the Ibiza but promises a posher interior. Funny thing, brand image. Ponder Seat and you’ll probably associate it with sporty looks and handling, but consider Volkswagen and – emissions cheating scandal aside – the automatic perception is more likely to be one of comfort and quality. Yet if you were to remove the body panels of the Seat and Volkswagen models you see here, you’d be left with virtually the same underpinnings and oily bits – those being the VW Group’s so-called MQB chassis and a turbocharged 1.0-litre three-cylinder petrol engine with 94bhp, driving the cars’ front wheels via a five-speed manual gearbox. Bolt the bodies back in place, though, and the aforementioned preconceptions apply. We’re testing the Ibiza – the current class leader – in our favourite FR trim, which gets aggressive looks, lots of kit and stiffer sports suspension, while for similar money, Volkswagen’s Polo comes as a comfort-focused SE model. 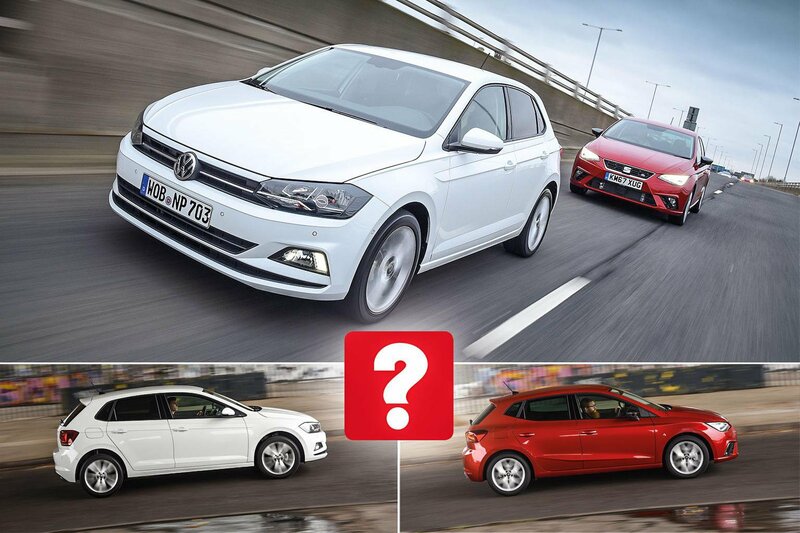 With almost identical engines, it’s no surprise that the Ibiza and Polo are comparable on performance. Both can crack 60mph from standstill in a little over 10 seconds and pull from low revs similarly strongly in third, fourth and fifth gears. Unless you regularly plough up and down motorways or live in a hilly area, you won’t have any complaints. Both cars also have pleasingly slick manual gearboxes, but the Polo’s engine manages to feel a little smoother and is fractionally less vocal when accelerating hard from low revs. It’s the same story when it comes to road noise, although the Polo’s door mirrors do whip up a little more wind noise at 70mph. 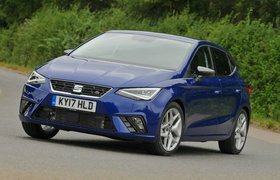 The Ibiza’s stiffer sports suspension gives it the edge when it comes to handling; it props up its body more effectively and turns in to corners with greater urgency. Its steering is also precise and nicely weighted, giving you the confidence to dart around corners. The Polo’s more relaxed gait is exposed here, mainly by the fact that its body leans over more in tight corners, although its steering is similarly precise and there’s plenty of grip. Let’s be clear: the Ibiza’s suspension doesn’t result in a bone-jarring ride. 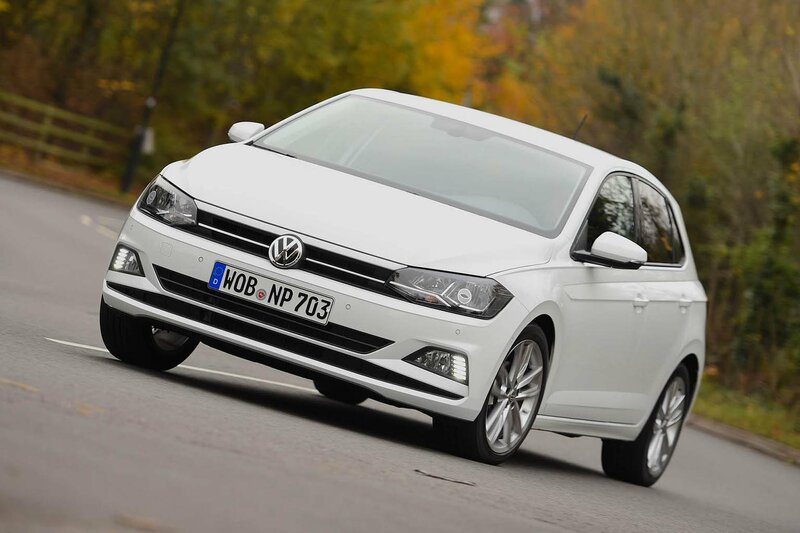 However, it is firmer than the Polo’s, particularly at low speeds over sharp-edged bumps and broken asphalt. The Polo does a better job of sponging away the same road scars, even when fitted with our test car’s 17in alloy wheels, which won’t be available in the UK. With SE trim’s standard 15in wheels, the ride is likely to be even smoother.